The initials EIFS stand for Exterior Insulation and Finish Systems. The design of EIFS offers continuous insulation which gives the architects the aesthetics and design flexibility that they need most. It allows them to meet the requirements of the new energy codes by offering continuous insulation. According to the definition that is provided ASTM and the international building code, EIFS is non-load bearing exterior cladding system which comprises of an insulation board that is either attached mechanically or adhesively or both to a substrate; a textured protective finish coat; and an integrally reinforced base coat. A drainage plane between the insulation board and water resistive barrier that is mainly achieved with vertical adhesive ribbons that are applied over the water-resistive barrier. A water resistive base coating applied on the top section on the insulation to act as a weather barrier. EIFS is among the well-researched and most tested claddings in the building industry. It is validated as the best performing cladding in the market. It has better performance in relation to Cementous fiber board, stucco and brick siding. Besides, EIFS fully complies with the modern building codes that place a lot of emphasis on energy conservation through a continuous air barrier and continuous insulation. These two elements are incorporated in modern-day EIFS to offer a reduced environmental impact and maximum energy conservation over the life of the building. Together with these functional advantages, you will also get unlimited texture, colour, and decorative choices to enhance enjoyment and the curb appeal of almost any structure or home. Stucco is one of the most popular construction materials that people use to set up buildings and homes. The material comprises of water, binder, and aggregate which you apply when wet and that it hardens later. Buildings and homes that are made of stucco can last you for hundreds of years as long as you apply it in the right way. However, it is normal to notice a crack in your stucco surfaces. In case you see this, you need to repair it with immediate effect before the condition worsens. Stucco repairs is easier than matching stucco colours and stucco finishes. You will make sure that your stucco repair is done in the right way as long as you consider the important factors and follow the right directions. The first thing that you need to check is how your stucco was applied because there are different ways of applying stucco on buildings and it all depends on your locality. In some regions, contractors apply tar paper first before nailing the wire mesh. In other areas, you have to begin by nailing the wood coverings to the studs before you put the tar paper. Your local contractors are better placed to tell the right stucco installation procedure for your region. The next thing you need to check is the extent of the damage and direction of the crack. It is wise to contact a foundation specialist to check whether there could be a challenge with your foundation. It is advisable to carry out all the other repairs on your home or building before doing stucco repair. These repair works comprise od repairing the drainage, roof, and gutter so that excess water does not reach to your stucco. 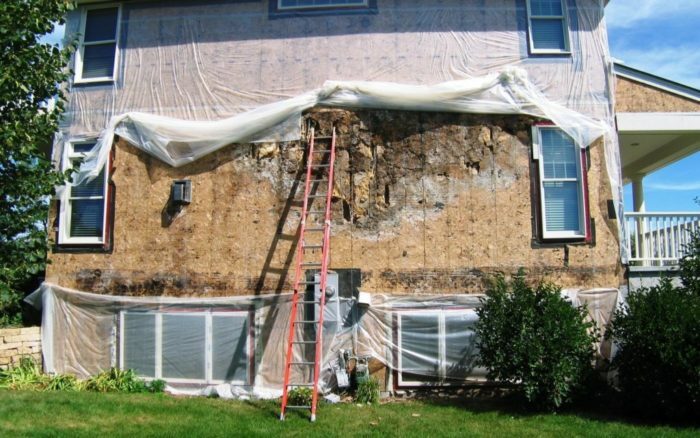 Most of the stucco damages come as a result of water infiltration to your home or roof through the chimney, roof, or any other opening that allows the penetration of excess water. The wooden lath will deteriorate because of the infiltration of water. Besides, the metal lath and nails will rust making your stucco to become loose. Once you assess the damage, you will be in a position to tell the kind of stucco repairs that you need. If the cracks in your stucco are not more than 1/8 of am inch wide, you can use a siliconized acrylic caulk to patch it at two different periods. Apply the second coat several days after the first one to give it time to dry well. If you are dealing with big cracks, you need to create a cement stucco mixture and apply it. The best way forward is to hire a professional to work on your stucco repairs. The other tip is that you should not carry out stucco repairs on sunny days because stucco that dries up quickly will not be as durable as you may wish. Also, remember to wet the edges of the current stucco before you patch up and apply a new coat. Some homeowners also do whitewash of their stucco annually to prolong its life and make it more durable. Stucco repair is an easy job as long as you have sufficient knowledge on how to carry out this process. 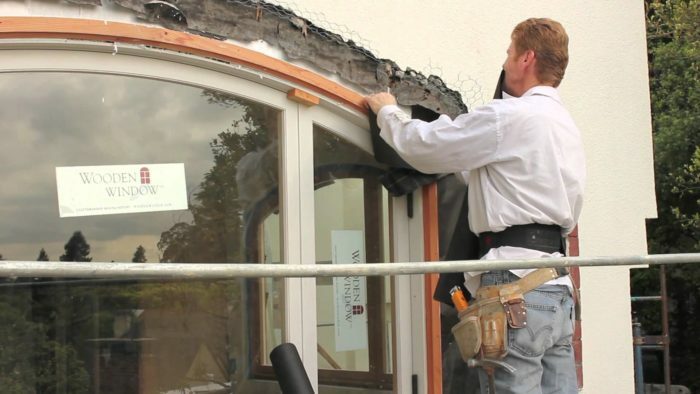 The trick is being patient until the stucco dries before you can apply the second or final coat. All the above tips will help you to carry out the stucco repair with a high level of precision. Fresno Stucco and EIFS Repair Services can help you handle any kind of stucco repair works. Stucco is a form of construction material that is comprises of water, binder, and aggregate. Stucco has been used to construct homes and buildings for several decades. In most cases, contractors apply stucco on exterior surfaces bring together water, lime, and marble dust to come up with a smooth plaster that you can later design, shape, and even paint. The primary advantages of stucco are that it is water resistance, durable, and an attractive wall covering. You can either apply it in a single or double layer on the surface if a stone, solid granite, or brick. Stucco is traditionally a cement mixture that is combined with lime, sand, and water to create a smooth plaster which you can use for your sliding. You can even cover your wooden exterior walls with the stucco mixture to give it a finish coating that has a striking and solid appearance. Stucco is applied when it is still wet and then hardens as it continues to become solid. You can make your home durable and last for several decades by putting stucco on it. The market has synthetic types of stucco that most individuals tend to confuse with genuine stucco. It is easy to tell genuine stucco because it is heavier and more durable in comparison to the synthetic one. You could also tell whether the stucco is authentic or genuine by tapping on your wall. Walls that are made from genuine stucco tend to produce a hard-solid sound. Also, authentic stucco tends to produce a highly absorbent sound. The surface will remain highly durable and solid even when it becomes very wet. These surfaces absorb moisture fast but also dry up within no time. When you use stucco on the exterior of your house, you can mold it into various designs. If you are not sure of the stucco application process, it is good to seek professional guidance. Fresno Stucco and EIFS Repair Services will make sure that you are getting all the advantages and benefits that come with authentic stucco. The use of authentic stucco can help you in building an attractive, durable, and strong home that can last you for several generations. EIFS offers the best exterior finishing for the walls. However, the installation process requires professional assistance. Fresno Stucco and EIFS Repair Services can provide the best IIFS repairs. The fact that IIFS is a durable surface does not imply that it is beyond damage. Several reasons can lead to damages including poor installation procedures, adverse weather conditions, and an accident in the home. As you can see, some of these factors are beyond your control. You need a company that uses high-quality raw materials to handle the repair work so as to avoid further damage to your exterior wall. The kind of exterior walls that you have on your building will always determine the competitiveness of your brand. The good thing about EIFS is that you can give it different styles and colours. The best commercial EIFS should design your walls in such a way that it reflects your brand. Therefore, he should study your brand before coming up with the best design. You need a contractor who has a proven track record of working on commercial EIFS. The most important thing is to come up with a design that will be attractive in the eyes of your target audience including customers, suppliers, business partners and other stake holders. 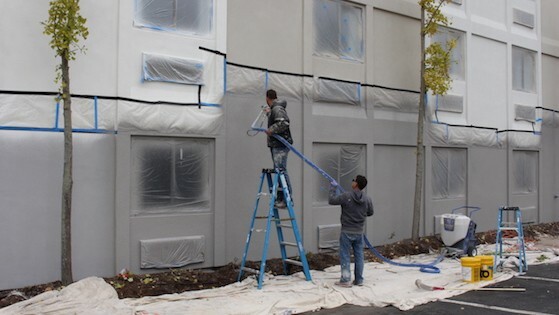 Fresno Stucco and EIFS Repair Services has the best commercial EIFS contractors in the region. You can rely on these professionals if you want your building to stand out from the competition.